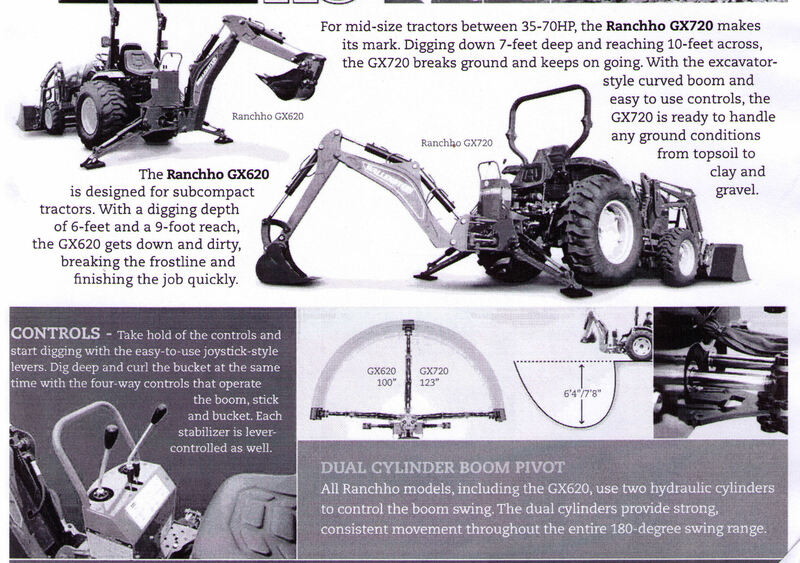 The Wallenstein GX Series Ranchho Backhoes can be mounted on the category 1 three point hitch of tractors, or on the front of skidsteer loaders (some sub-frame mountings are also available). 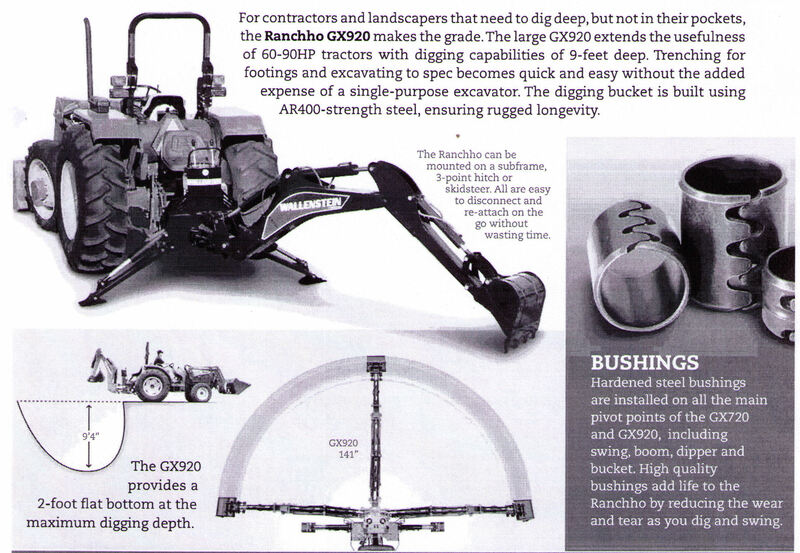 These backhoes are designed for agricultural and industrial use, and depending upon which model you choose, they are available with digging depths of 5.5 ft., 6 ft., 7 ft., and 9 ft. Several bucket sizes are available: 9 inches, 12 inches, and 15 inches wide for the GX-500, and 9 inches, 12 inches, 15 inches, and 18 inches and 24 inches wide for the GE-605, GX-620, GX-720 and GX-920. The heavy duty reinforced category 1 and 2 three point hitches (and the skid mounted models) come with a feature that is exclusive to the GS series backhoes - The tie back kit. 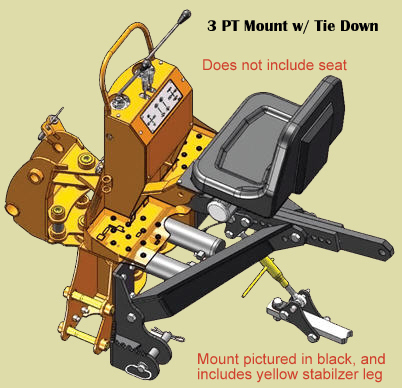 The tie back kit allows you to brace the top link mount of the backhoe to the tractor's drawbar (or to the skid mount plate on skid steer loaders) to reduce the pull from the digging motion on the connection point where the top link connects on the tractor. The tie back kit reduces the strain by approximately 50 percent. 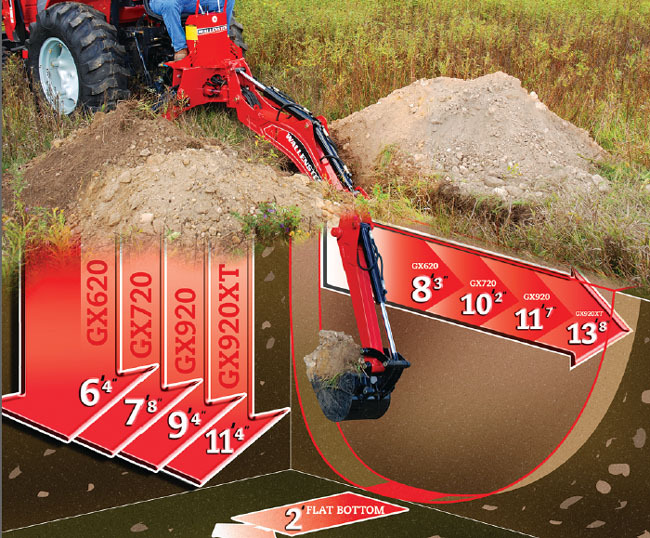 The new curved boom over arching design allows you to dig deep without impacting the edge of the excavation. 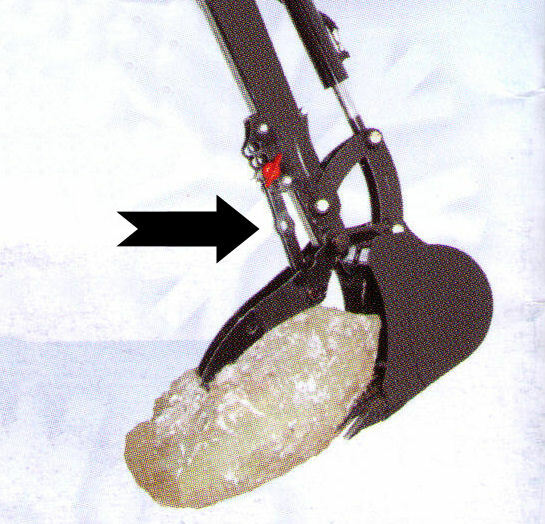 This feature protects the backhoe from unnecessary damage and prevents ground from falling back into the hole. 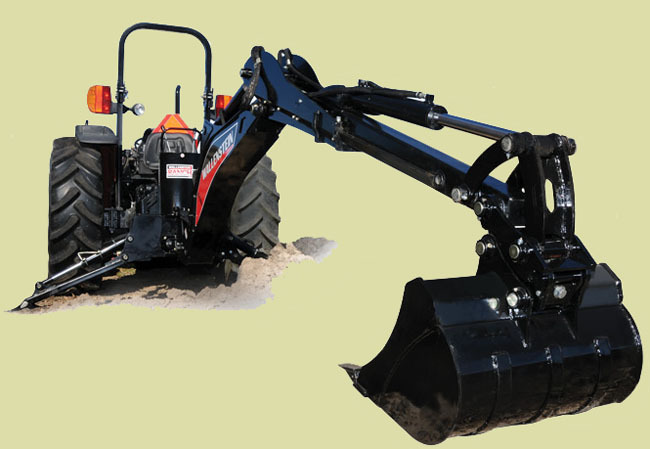 Sub-Frames are bolted semi-permanently to the tractor, but the backhoe quick releases from the sub-frame mount with two bolts. 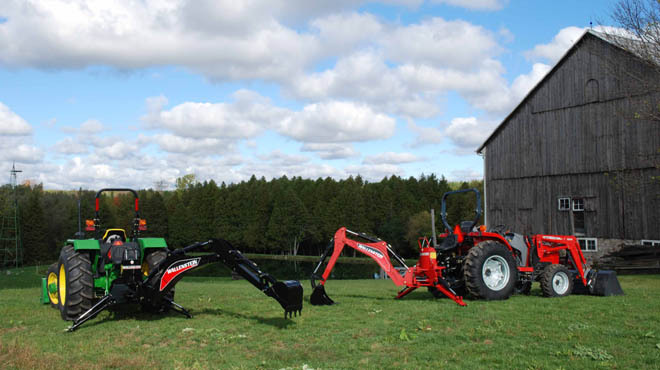 You can quick release the backhoe, and then reattach the three point frame with 4 bolts and use the backhoe on a different tractor using the three point hitch mount. 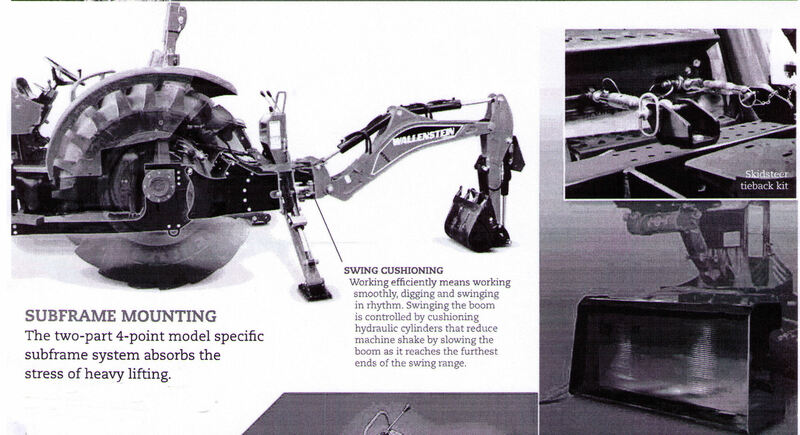 All models (excluding skid steer mounted) have easy-to-use joystick style levers. Dig deep and curl the bucket at the same time the the four way controls that operate the boom, stick, and bucket, and each stabilizer is lever controlled as well. SAE* Dipper Boom digging force is 1250 lbs. SAE* bucket digger force is 2054 lbs. Shipping weight is 500 lbs. Boom lift capacity is 250 lbs. 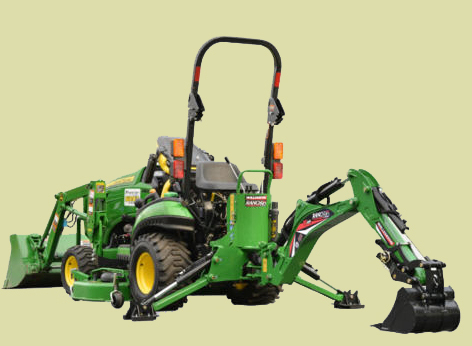 When ordering the above mounting kit with a backhoe, order them in the drop down menu on the order page of the backhoe you are interested in. 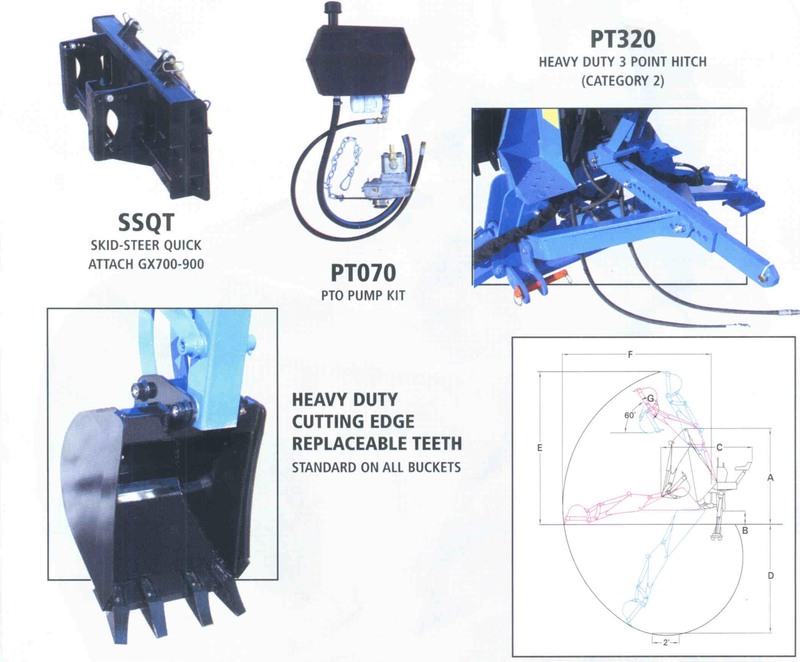 When ordering the sub-frame mounting kits with a backhoe, order them in the drop down menu on the order page of the backhoe you are interested in. 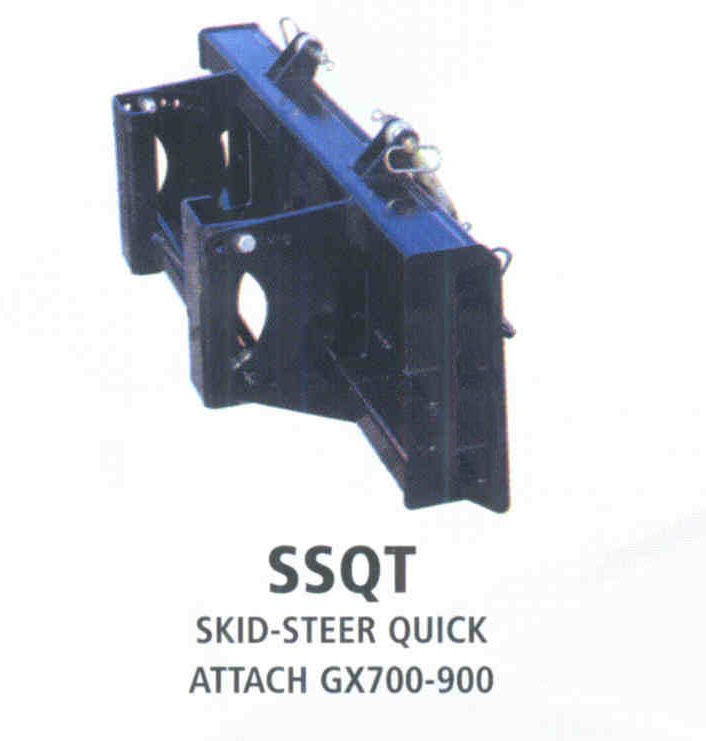 Note On Sub-Frame Mount: Installation is relatively easy - each sub-frame is designed to bolt to your tractor. 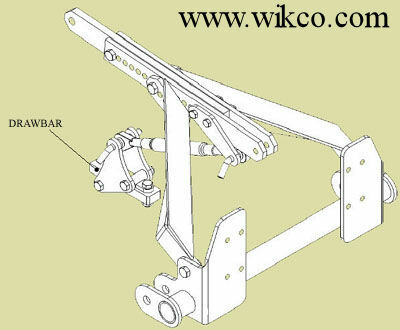 You will need to remove the three point hitch arms to attach the rear part of the sub-frame. 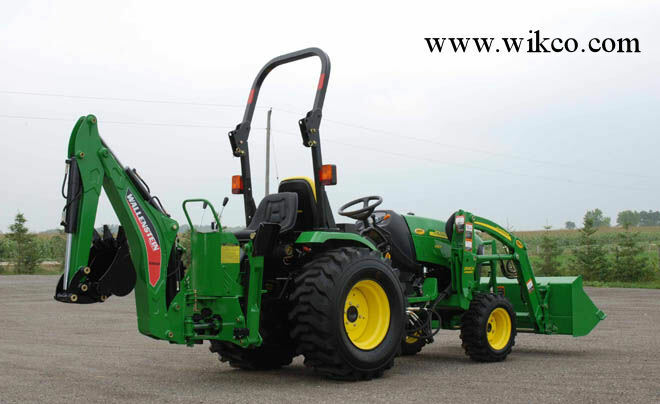 The three point hitch cannot be used when the sub-frame is bolted to the tractor (including when backhoe is removed). To use the three point again you will have to remove the sub-frame. This mounting is considered a semi-permanent type mount except removal only takes 15-30 minutes, so this mounting is still convenient to use, and it is the most solid. The other end of the sub-frame bolts to the loader mounts on the frame regardless of whether or not you actually have a loader on the tractor at that time. The sub-frame should have any other cut-outs and bolt holes already in place for relatively easy bolt-on installation. 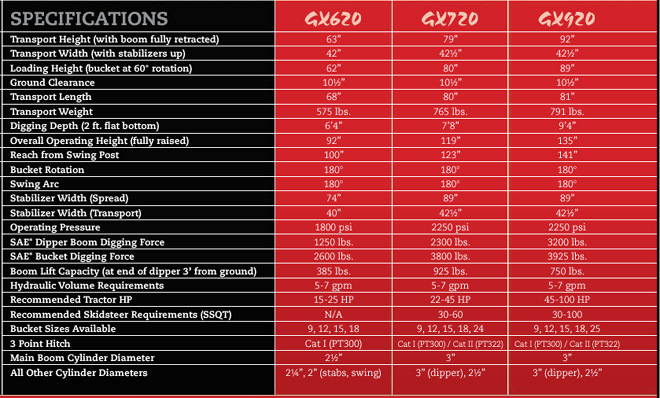 When ordering the above skid steer mounting kits with a backhoe, order them from the drop down menu on the order page of the backhoe you are interested in (click the order form button directly below the backhoes as listed above). When ordering buckets with a backhoe, go to the order page of the backhoe and order the bucket needed in the drop down menu on that page. When ordering the options listed below with a new backhoe, order them in the drop down menu on the order page for the backhoe. 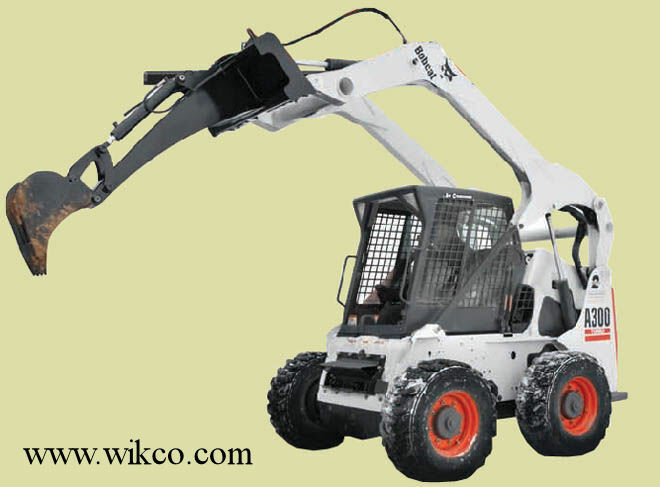 If ordering a backhoe with the buckets, go to the backhoe order page and order through the drop down menu on that page. 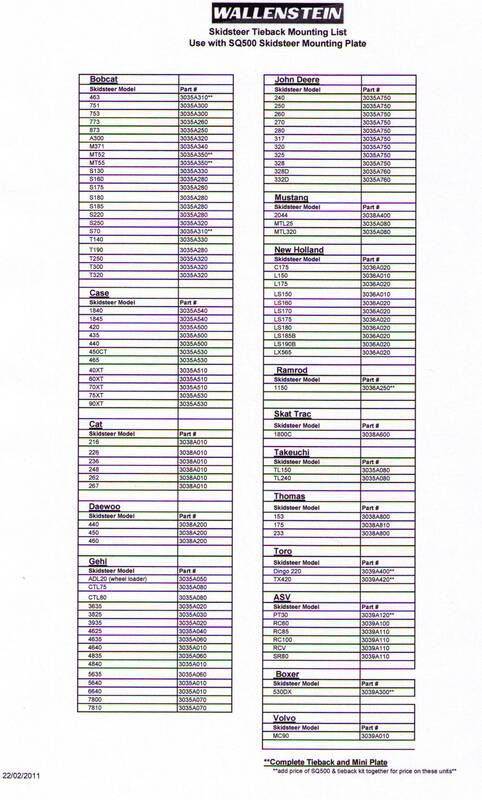 If ordering any of these separately WITHOUT a backhoe, then click on the order form button under the bucket.